If you have a disability it often can mean suffering with muscular pain. This is worsening as we get older . Massage and other physical therapies, yoga and Pilates can often help and may be used in addition to, or instead of pain killers. 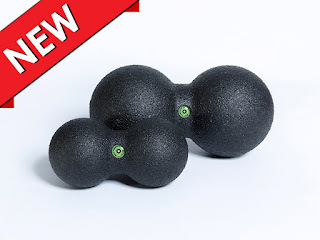 If massage therapy is to expansive an option or you have difficulty getting out and about I have found these simple inexpensive self massage tools helpful to relieve muscle pain and restore movement function. There are many example of how to use them on Youtube channels so have a look around. Be careful, used incorrectly or for too long at anyone session they can cause harm. Get some professional advice n how to use them at home from a sport therapist or physiotherapist. These simple massage tools will help you if you wake with tight muscles or when you cannot get to a massage therapist. Using massage tools can allow you to relax the muscles and improve circulation. Use these products when wearing one layer of clothing to protect the skin. Use for no more than 5 minutes at a time. Available in different sizes for different muscles. 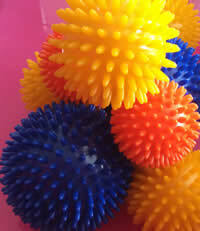 6cm orange ball for massaging the hands and feet. 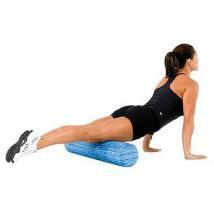 Foam Rollers - If you find these difficult to use for self massage, use two foam rollers to support the back. 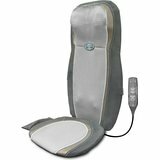 Sit down and relax and let the electronic massage relax your back muscle. We like the Homedics brand available on Amazon, look out for their special offers. Use every day to keep aches and pain at bay.